I'm back with an update on the Parrot Uncle lighting giveaway winner. 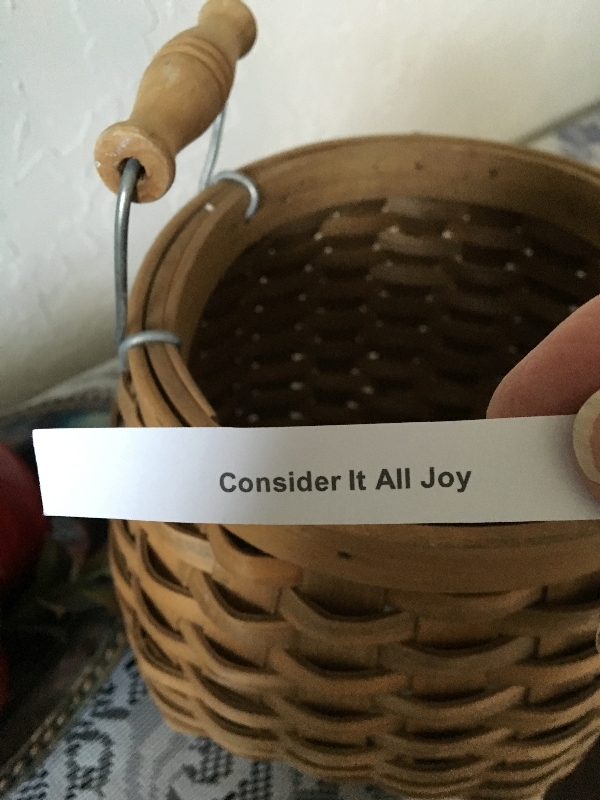 As you know, last Friday I drew Kristi's (Chatfield Court) name out of the basket. She contacted me over the weekend and asked me to withdraw her name, as she has a previous relationship with Parrot Uncle as an advertiser on her blog. It speaks highly of Kristi's integrity to make this known to me, disqualify herself and give someone else an opportunity to win in this giveaway. So, back to the basket for a new draw. Congratulations to Cindy at the blog Consider It All Joy. A big thanks to Kristi and all who participated. And thanks to Parrot Uncle for the generous giveaway. I won a gift card for Parrot Uncle from Cabin and Cottage and picked out my light fixture today. The people there are so nice.